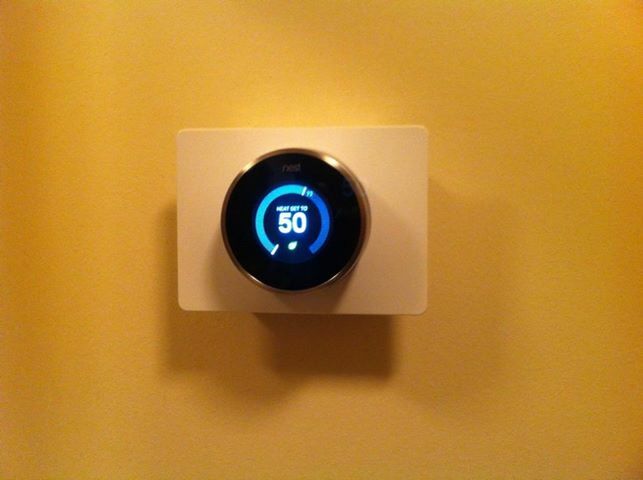 This was a custom installation, because the Nest Thermostat is not made for electric heat. This can also be done with electric floor heat and fan forced electric heaters. We used a transformer to make this possible. Very smart customer already had the thermostats and transformers. This was a surface install. They can also be installed flush with the wall. We were called in to make this work, and it went great. Surface mounting is great for apartments or condos, so if you move, you can take them with you and put normal thermostats back. Flush install requires cutting the wall and installing a larger box to hold the transformer. Installed the correct electrical box and GFCI receptacle. Wire inside conduit to prevent damage from rodents and digging. Moles were a big problem with the cable tv and telephone wire here, so we put it all inside conduit. Also added a small 30 amp sub panel for future networking equipment. Never run out of hot water with one of these! Customer wanted this sconce installed, but there was no switch to turn it on and off. Solution was to add a small push button switch in the bottom of the base, instead of installing a wall switch that could have cost much more. We have also done this with pull chains where the fixture is out of reach. On our FREQUENTLY ASKED QUESTIONS (ELECTRICAL FAQ) page, I talked about the right way and the wrong way to wire a receptacle. I always prefer to wrap the wire around the screws and tighten them down. It lasts much longer then the back stab method that always seems to fail over time and always at the most inconvenient time…. when watching the big game on TV or you have some guests over and power goes out to some receptacles. Also on our FREQUENTLY ASKED QUESTIONS (ELECTRICAL FAQ) page, we talked about bootleg grounds. A bootleg ground is when the white neutral wire is also connected to the ground screw simulating a ground. This is a code violation, because the neutral wire carries current; and connecting the ground to the neutral could possibly cause the ground to become live and any appliance that is plugged in could possibly have the frame and all metal parts become live creating a possible shock hazard. A reverse bootleg ground happens when a person, not knowing what they are doing, connects the black hot wire to the neutral terminal and the ground terminal. This is a code violation causing the ground to become live and any appliance that is plugged in will have the frame and all metal parts become live creating a shock hazard. 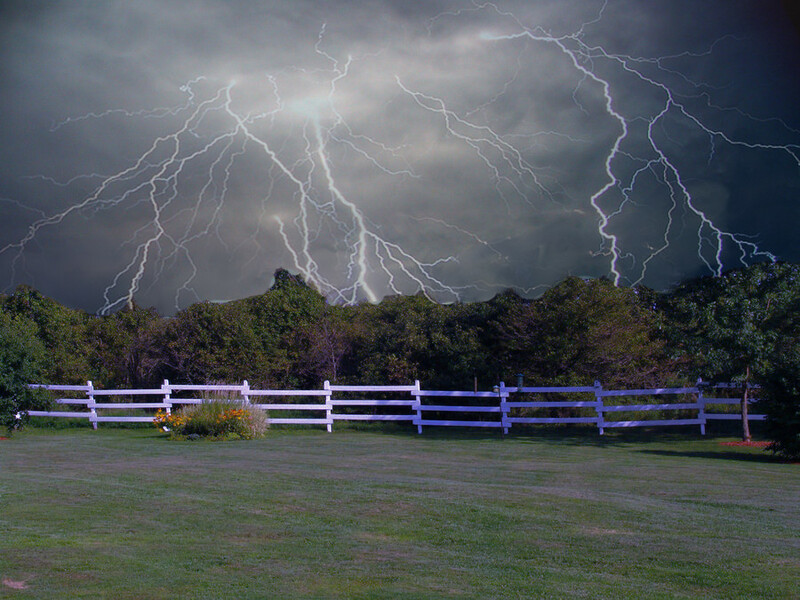 If you have experienced shocks around any of the receptacles in your home, then they should be evaluated by an electrician.